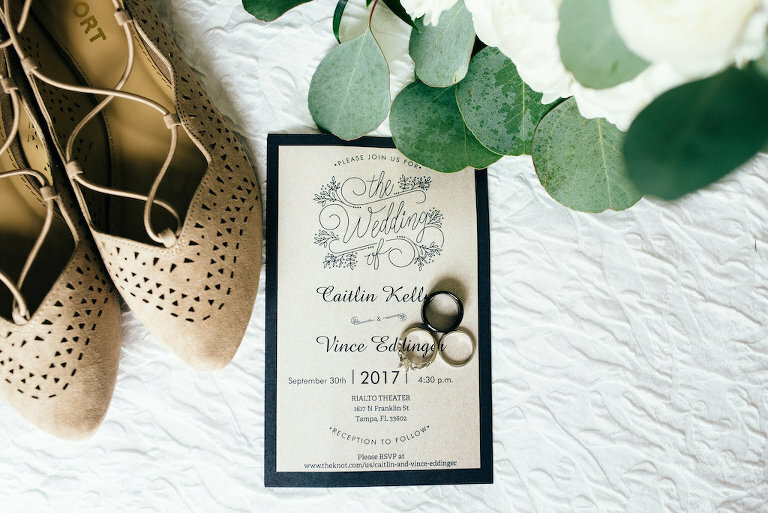 Caitlin and Vince’s travel inspired, vintage Tampa wedding featured a taupe and ivory color palette with greenery accents. 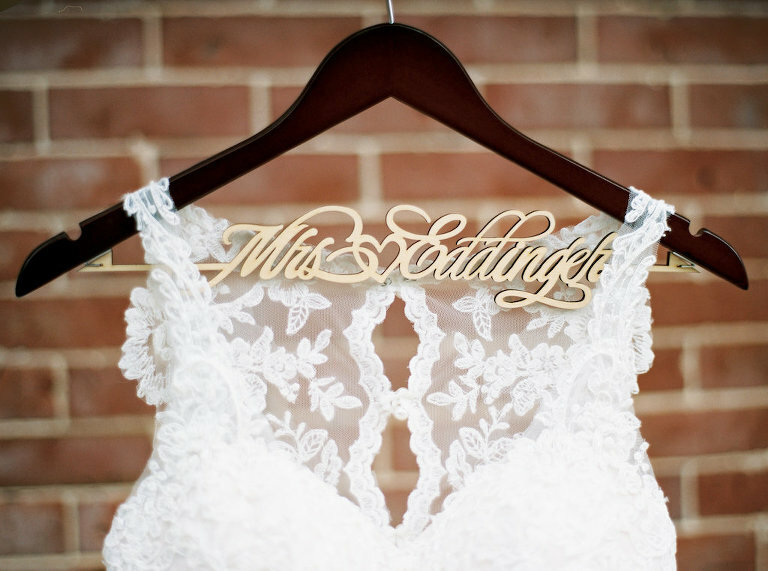 The Fort Myers, Florida couple wanted to create a fun, party atmosphere for their big day. Not minding the process of planning the wedding, but wanting someone to help organize and run the event on the day of, Caitlin hired Tampa wedding planner Glitz Events. Focusing on minimalistic decor and a menu that incorporated the couples love for southern cooking, they hired Tampa wedding caterer Amici’s Catered Cuisine. Looking back on their wedding day, the couple reminisced that seeing each other for the first time was one of the most memorable moments from their wedding day. I don’t mind the planning, but I wanted someone I could fall back on and to help run the day of! I wanted a wedding planner I could afford, but that I still trusted to be there for me. Amy at Glitz Events was not only in my price range, but offered to be my “Month Of” planner, while still checking if with me for 10 months before the wedding. She was always available for questions and advice. We love to travel and had booked one the most adventurous trips for us, which was hiking the Inca Trail in Peru. The trip began in Cusco, Peru, where we were getting ready for a four-day Inca Trail hike. With the ring box in Vince’s pocket (checking every two seconds), and not knowing when the perfect time would be, he waited until the second day of the trek. Proving to be the hardest day, we came to a rest stop that was too picturesque to pass up. He got down on one knee and popped the question and I said yes! Vintage travel. We have a passion for travel and love the shabby chic/vintage look. Our travel theme allowed us to use pictures from every place we had been together as table numbers and little suitcases for the favors. We originally chose completely different colors and switched half way through the planning process! In the end, we chose taupe and ivory with greenery accents. 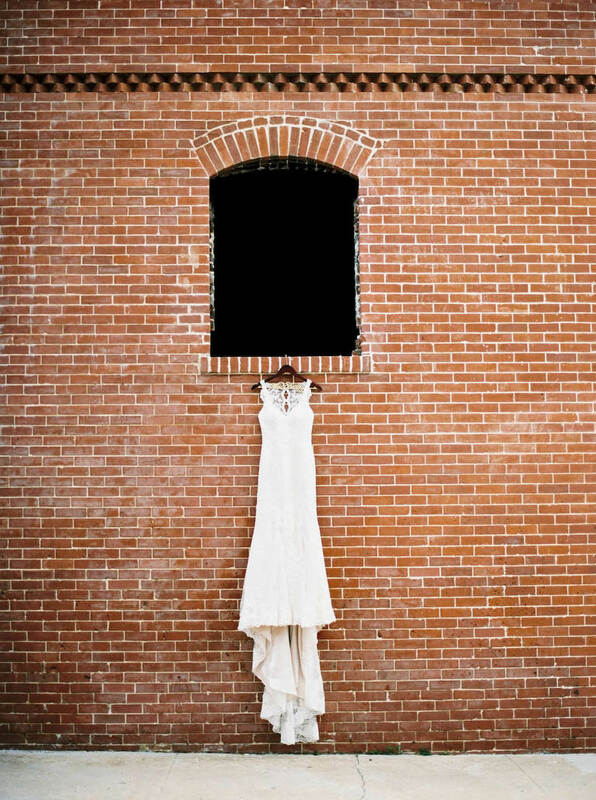 We loved the neutral pallet for the vintage feel. What was your menu inspiration? We wanted a caterer that would be willing to work with us so we could have the food we really wanted, but on our budget. We love southern cooking and good comfort food. Amici’s Catered Cuisine was perfect at working with us to get us exactly what we wanted with custom menu pieces and staying in budget. They were awesome to work with and had a very all-inclusive contract, as we were booking all of our vendors a la carte. They gave us everything we wanted. Once you find one or two vendors you really love, ask them for their recommendations on other people they have worked with!